Is It Time to Give Your Writing Dreams a Chance? Let’s Write a Short Story! will help take your dreams of a writing career and turn them into practical steps toward achieving those dreams. If you’ve ever wanted to see your name in print, this book will help you. Why all the great writers started with short stories, and why you should, too. How to build a fiction platform with short stories rather than just another blog. How short stories are structured differently than novels. Let’s Write a Short Story! comes in three packages to fit your needs. To transfer your new book to your eReader, watch this video for Kindle and this video for Nook. But you’ll also get the 57-page workbook, 15 Days to Write and Submit a Short Story. 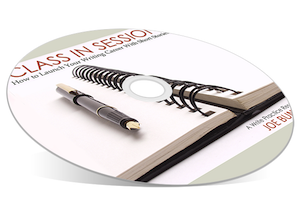 This workbook will guide you through the process of writing, editing, and publishing your short story. The price for this package is only $15. Get it now. 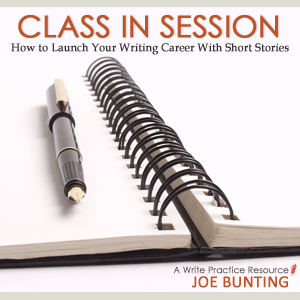 You’ll also get the 57-page workbook, 15 Days to Write and Submit a Short Story. Over two hours of premium video content. This video course is $50, but you could make that up in just a month selling your short stories on Amazon. Don’t put your writing career off. Not convinced that the Premium Edition is for you. Find out more. 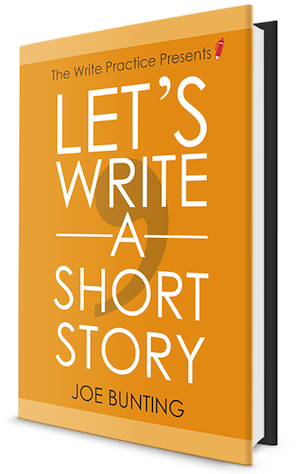 If for some reason, you decide you didn’t get enough out of Let’s Write a Short Story! for your money, I will reimburse you fully. I’m so confident Let’s Write a Short Story! will help you, that I’m willing to take the risk on losing money on this. Only one person has requested their money back, but the offer stands. I won’t even ask you why you didn’t like it. I’ll just pay you. Well, I might ask you why you didn’t like it. But I’ll still give you your money back. Just email me. If you have other friends who are writers, why not share the love? Writers have told me this book has completely changed the way they approach their career. Help a writing friend with their career and share.